Cats are wonderful drawing subjects. They have beautiful, curving lines, are exceptionally graceful, have amusing behaviors, and even come in a wonderful array of colors and patterns. Being able to draw a cat means you can doodle to your heart's content for hours, drawing cats playing with string, chasing butterflies, and snoozing in the sun. 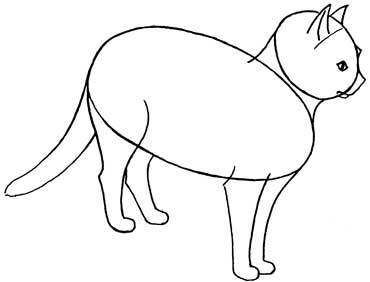 Here's a simple lesson for how to draw a cat. 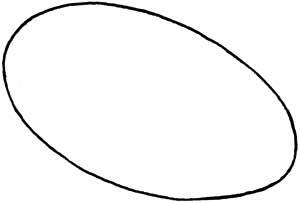 1) Start with a long oval shape for the cat's body. Notice how the oval is tilted down on one side. 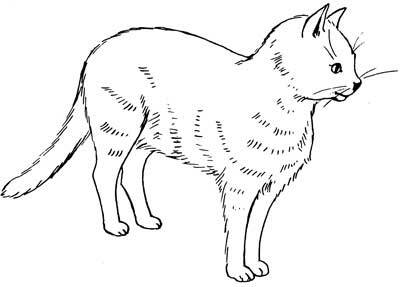 This angle is helpful when you are drawing a cat from a 3/4 angle, as we are in this lesson. 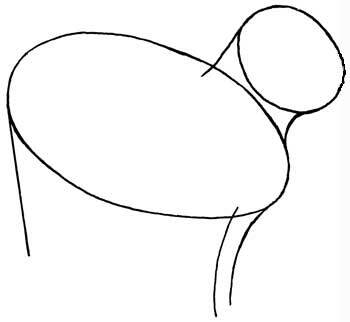 But if you want to draw a cat just from a "straight-on" angle, you can draw the circle without the tilt. 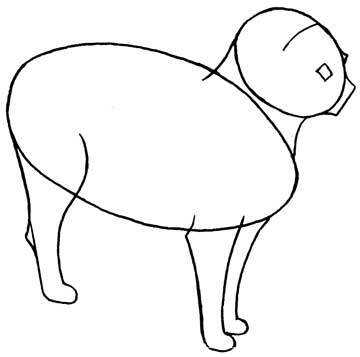 2) Now add a rounded shape for the head and then two connecting lines for the neck. Also draw the lines that begin the legs. 3) Add the muzzle of the cat (his nose and mouth, which come out from the circle of his head a little). Make small squares for the eyes and a line at the middle of the head to help you place the ears correctly. 4) Add the tail and a fourth leg. Also draw the mouth, eye and ears. Erase the lines that you don't need anymore. 5) Give your cat some whiskers and toes. Use short, tight lines for the fur. If you want, add more lines to suggest a striped cat.